It releases a sulfur gas called allicin when it is attacked by insects. The compound is toxic to bugs if they consume it. 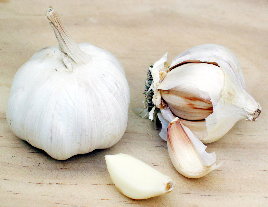 Allicin is also the compound that causes the strong odor in garlic. When we consume garlic, the smell can be emitted through our skin and interfere with bugs’ sense of smell. This makes it hard for bugs to smell us and therefore bite us. 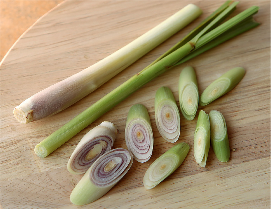 The oils found in lemongrass are a well-known natural bug repellant because they mask our odor, but consuming lemongrass may have the same protective properties. So make sure to add lots of lemongrass to your soups and curries. 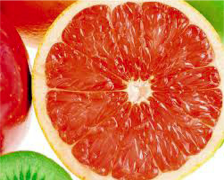 Grapefruit contains a compound called nootkatone that repels mosquitoes. Nootkatone is also supposed to be effective against ticks and scientists are conducting research to see if it will work against other insects. You may want to consider adding grapefruit to your breakfast more often. 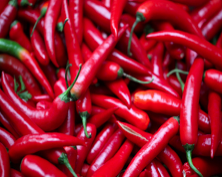 Chiles or Capsaicin, the heat-generating compound in chiles is already used as a natural insecticide and is known to stop the itchiness caused by bug bites, but eating chiles may also prevent bug bites. Bugs apparently do not like the smell that emanates from our bodies when we consume food that contains capsaicin. Onions contain the same chemical, allicin that garlic does. 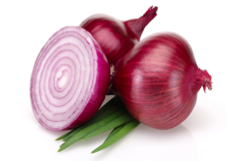 While eating tons of onions may not make you very popular among friends and family, they may help keep bugs away, so consider adding more onions in your diet. Leeks, chives, and shallots also contain allicin. Lentils are cheap and nutritious and they may also prevent bug bites. 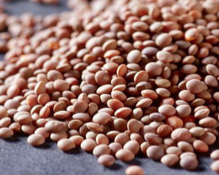 Beans and lentils are high in vitamin B-1, also known as thiamine. The smell that thiamine releases after consumption is supposed to repel bugs. Now you have the perfect excuse to consume a whole tube of hummus or add even more refried beans to your huevos rancheros. A common home remedy for bug bites is to rub tomato juice on the bites. But consuming tomatoes may actually prevent bug bites from happening. 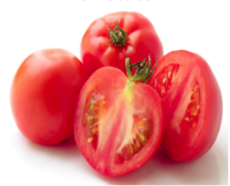 Tomatoes are another good source of thiamine and a diet rich in thiamine may make you less enticing to bugs.